AT THE HALWORTH GALLERY EXHIBITION. AT THE UNITED NATIONS IN GENEVA. IN THE BRITISH CULTURAL CENTRE IN ACCRA, GHANA. 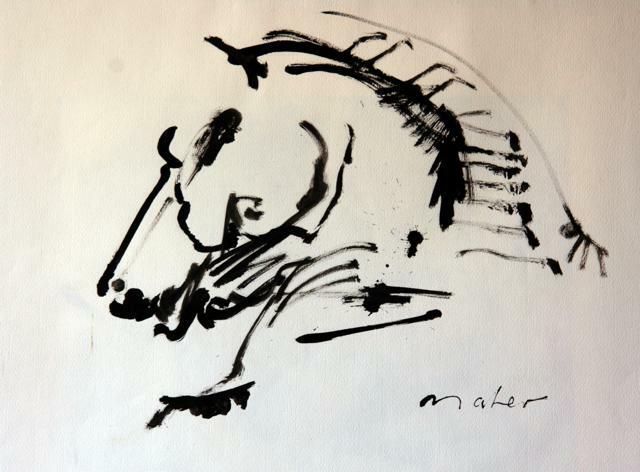 MAHER'S WORK AT THE SEGAL,THOMPSON ART GALLERY. 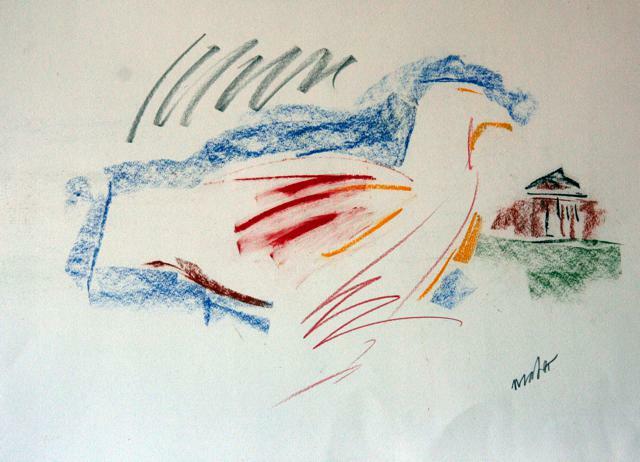 SOME WORKS WHICH HAD BEEN MADE IN THE ARTIST'S STUDIO ON LAKE GENEVA. 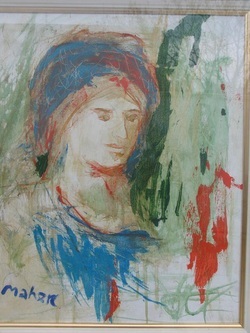 ACCADEMIA RIVIERA DEI FIORI. ITALY. 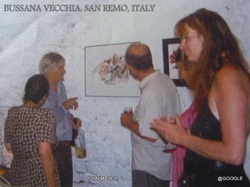 SHOW AT THE INTERNATIONAL GALLERY,VONGY, FRANCE. 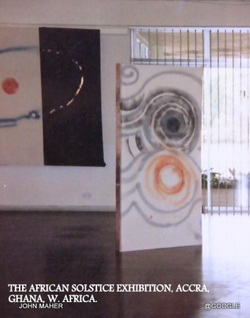 HELD ON THE SUMMER SOLSTICE IN 2002. NOTABLY IN GREAT BRITAIN, FRANCE,GERMANY,SPAIN, ITALY, WEST AFRICA. AND THE US. 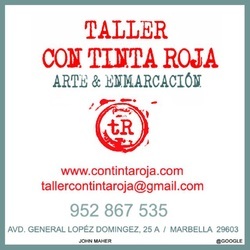 WIDELY KNOWN SPANISH MASTER ENGRAVER, ANA MATIAS. 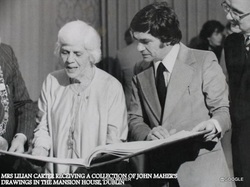 May 1979 Davis Gallery, Dublin. The Davis Gallery, Dublin showed many of Maher's early works. He was also commissined by them to design and book and magazine covers for publications. Maher continued his association with New Writers Press and worked on covers for many of their poetry publications. 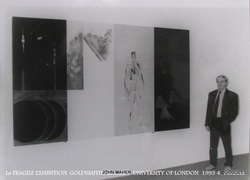 May 1993 Goldsmith Gallery, University of London. The show received much critical acclaim. Dec. 1993 Civic Centre, Lewisham. the atmosphere of the megalithic site Newgrange, near Dublin. 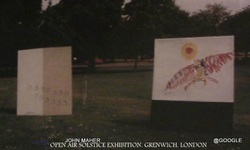 June 1994 Greenwich Royal Observatory, London. next to the brass plaque indicating the zero degrees meridian line. Maher later travelled along that line in his Zerotrek series. July 1994 The Irish Club, Belgravia, London. 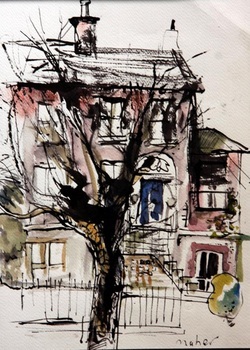 The Irish Club exhibition in Belgravia was officially opened by the Late Brian Behan (brother of Brendan) who reminded us that many of this artists themes are to found in tradition of Irish literature. The paintings were dis[layed in the grand dining room. 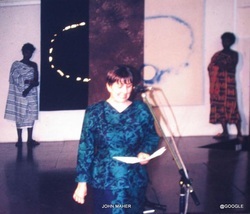 Feb 1995 The British Gallery, Accra, Ghana. 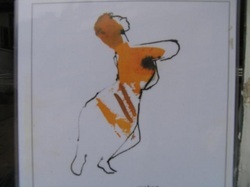 "The African Solstice" was hosted by the British Council in Ghana. 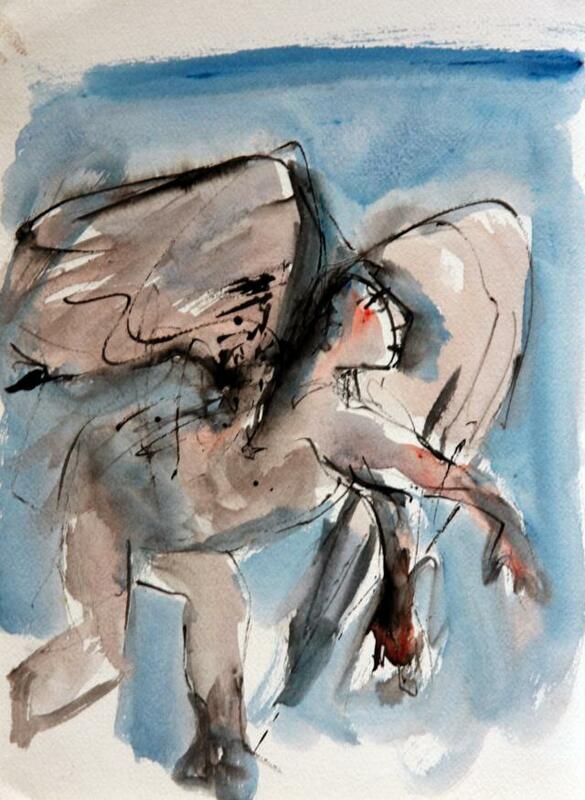 performed by the students of the Sacred Heart Secondary School. diplomatic services were in attndence. May 1995 Laboratorio Aperto, Bussana Vecchia, San Remo. 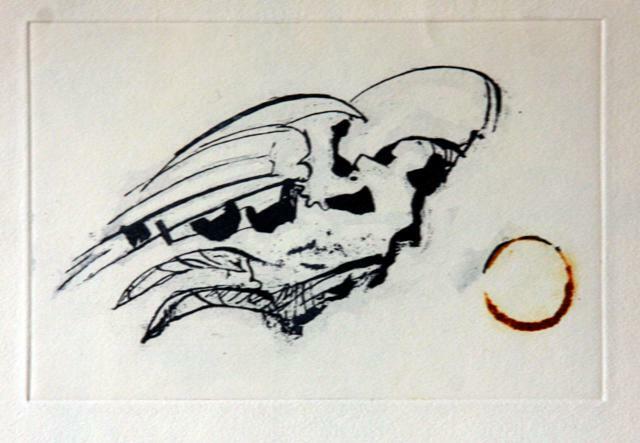 (a centre of experimental artist development in the art language movement). 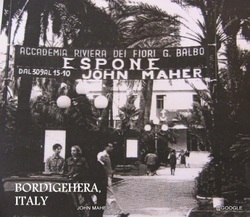 June 1995 Accademia Bordighera, Northern Italy. 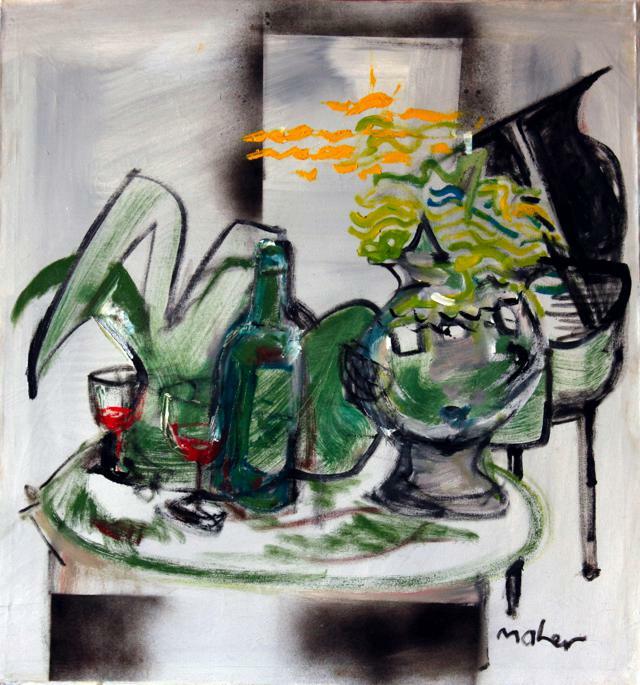 between Maher's method of painting and the method of writing of James Joyce. 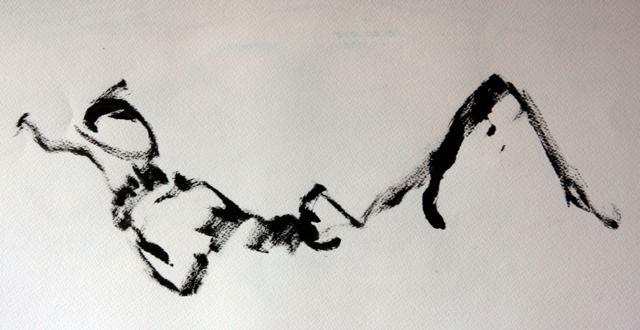 the lack of centre and the conscious movement away from totaltarianism. 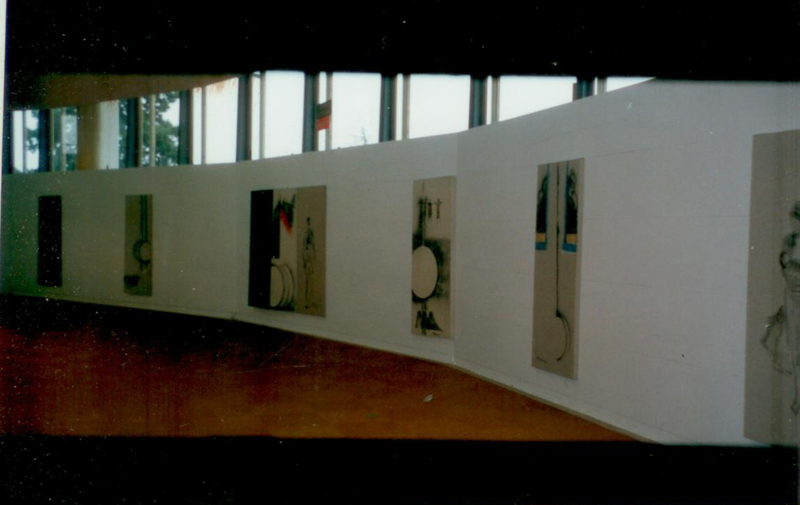 July 1996 United Nations, Palais des Nations, Geneva. 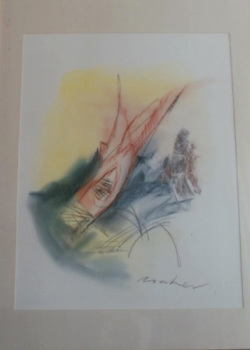 Maher's first United Nations exhibition in 1996 was his "BLOODY NOSE"
series and inspired by the events in the troubled Northern Ireland conflict. 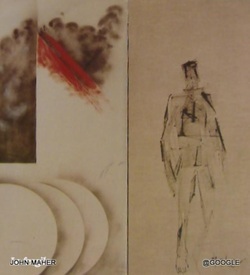 The full title given to these works referred to the bloody nose of tribalism. saw the pain as primary in all. 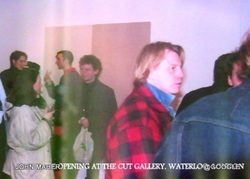 Aug 1997 Galerie d’Art International. Vongy, France. 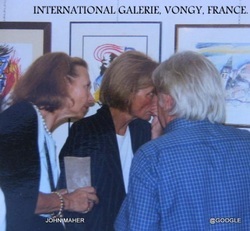 The International Gallerie in Vogny presented some new paintings which he worked on at this location. 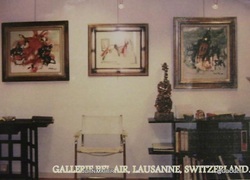 Nov 1997 Galerie Bel-Air Metropole. Lausanne, Switzerland. 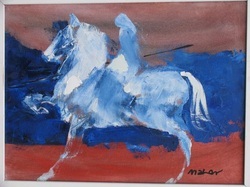 45 of Maher's smaller oil paintings. The former Irish President Mary Robinson (then UN based) was represented and spoke warmly of Mahers works and contribution to the Art world. 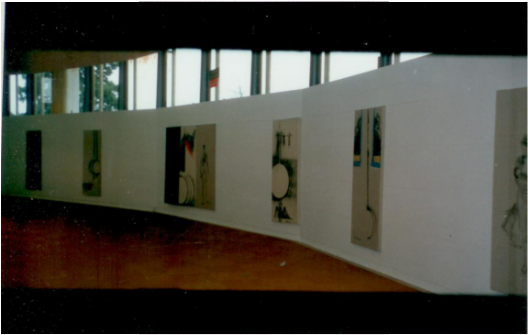 Aug 1998 United Nations, Palais des Nations, Geneva. 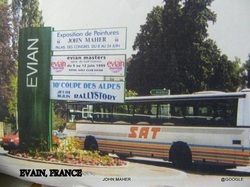 This Gallery was made famous by Marcel Proust who resided here for a time. 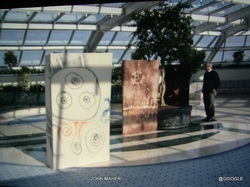 Solstice was placed in a standing installation style display area. Sept 1998 Irish Distillers Gallery, Dublin. 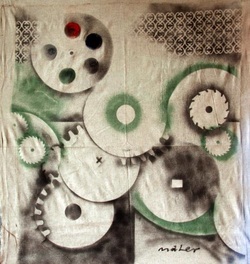 of the artist's recent works. It was well attended with a large number of dignataries from both an Irish and International background. 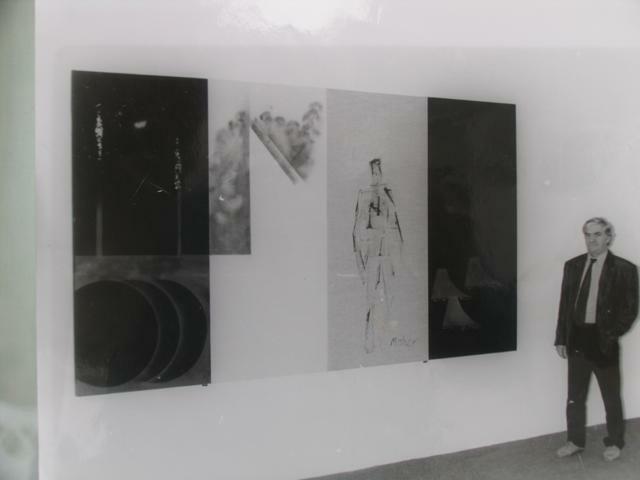 The American Embassy was involved with this show and the cultural administrator was Ken Mc Cue. 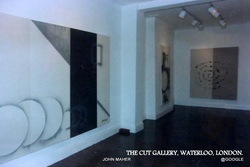 Oct 1999 Hallward Gallery, Merrion Square,Dublin. 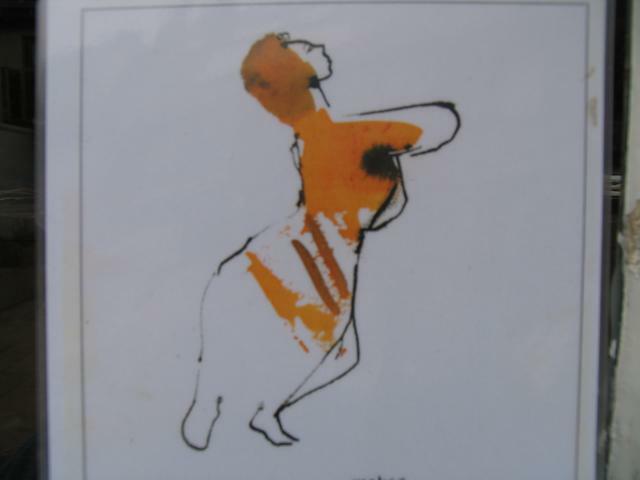 of "living in voluntary exile" and extensive travels abroad. 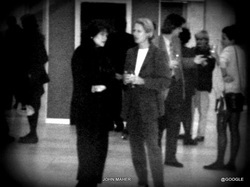 Dec 1999 Palais des Congres, Evian, France. 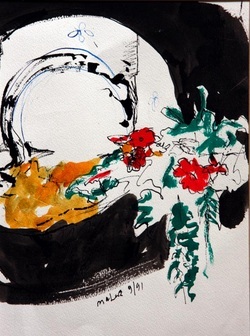 a retrospective show of 126 pieces. 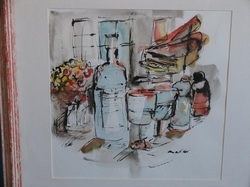 The exhibit was opened by Dr Conor Cruise O'Brien who spoke of his thirty year friendship with the artist. 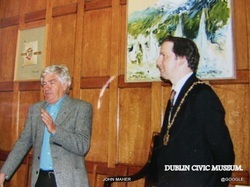 June 2000 The Civic Museum, Dublin. 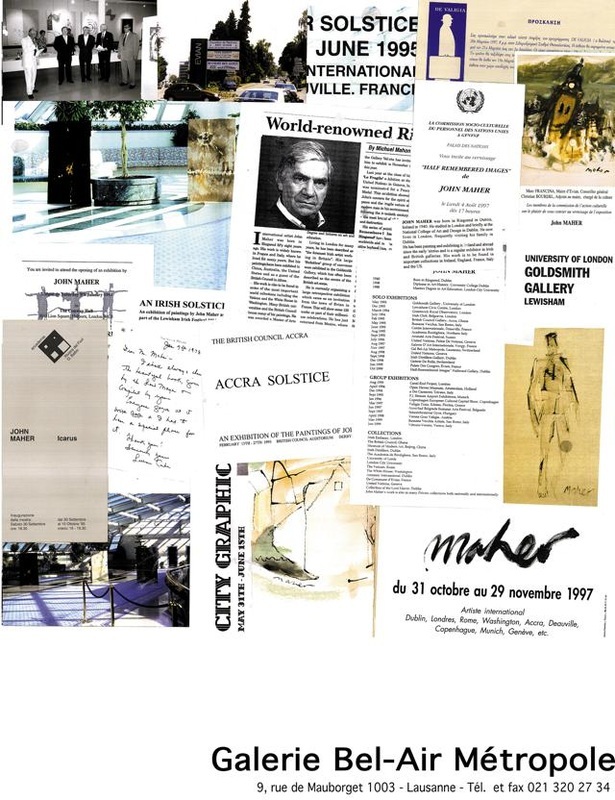 The Civic Museum paid tribute to Maher's work done in the design field. 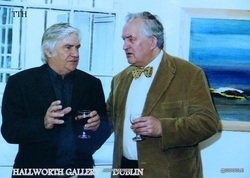 May 2004 Royal Dublin Society (RDS), Ballsbridge, Dublin. 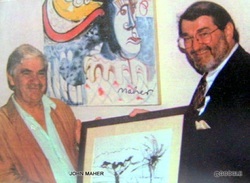 .The RDS Dublin provided the setting for sixty six of Maher's paintings. 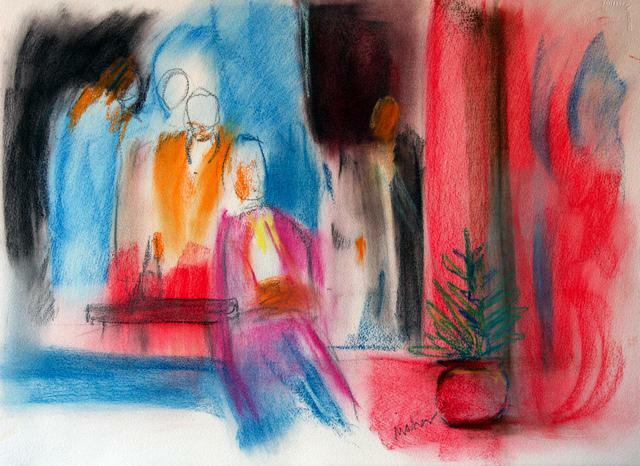 Much of these were on pater in pastels and graphite.See studio work.